Another new Beanie Boo alert! 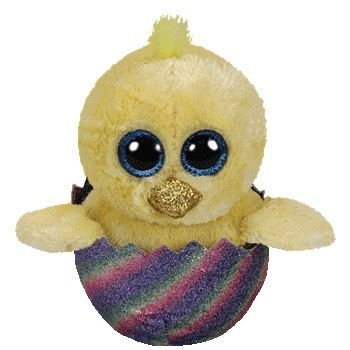 This cute little chick Beanie Boo has been spotted on the internet! It’s name is Megg and she appears to be a new Easter-themed Beanie Boo for 2019! So I can get a candy snack. Megg appears to be available in both 6″ and 9″ sizes so far and also appears to be exclusive to Walgreens, although I can’t confirm that yet. Have you spotted Megg yet?